After last summer's disastrous harvest, many varieties of the Weetabix breakfast brand have 'completely run out,' says a company spokesman. Weetabix, the iconic British brand that was taken over by a Chinese state-owned firm last year, has proved a poisoned chalice for its new owners. The company has been been forced to stop making Weetabix Minis and Oatibix Bites after last year's cold and wet summer devastated the UK harvest. 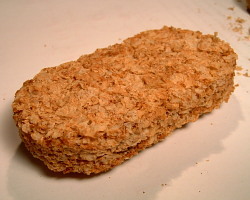 Production of a number of the Weetabix cereals was halted after the firm's factory in Burton Latimer, Northamptonshire, ran into difficulties sourcing the grain locally. Weetabix's new owners, Bright Food, are now looking into shipping wheat in from overseas.